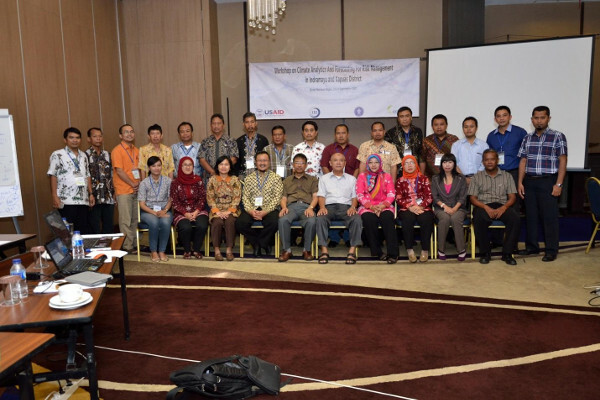 Bogor Agriculture University (IPB) in close collaboration with the International Research Institute (IRI) - Columbia University, New York, hosted two days workshop from 25th – 26th September 2013 in Bogor, Indonesia, entitled “Climate Analytics and Forecasting For Risk Management Workshop”. 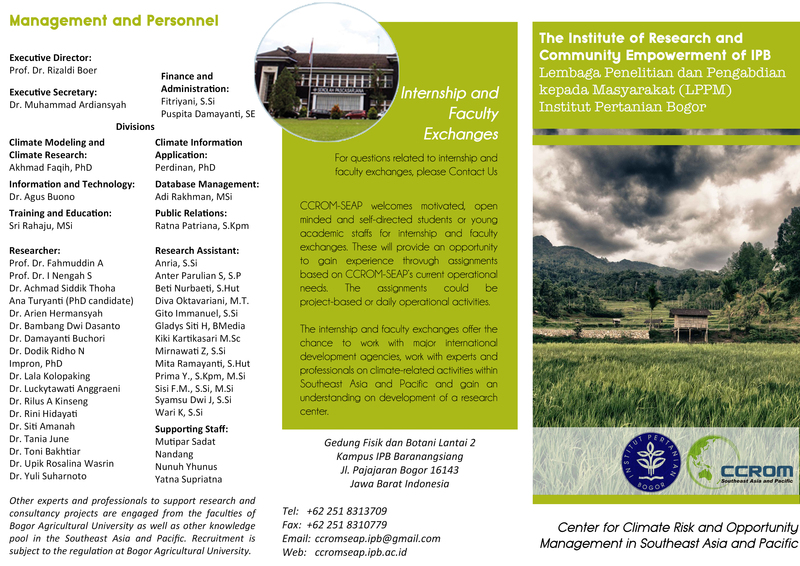 Collaboration between CCROM SEAP and Columbia University has entered the second year in the program of Columbia University and Bogor Agricultural University Partnership to build Capacity for Adaptation to Climate Risk in Indonesia. One important component as the goal of the program is to improve the capacity for climate modeling and analysis for adaptation measures in agriculture and Peatland fires. 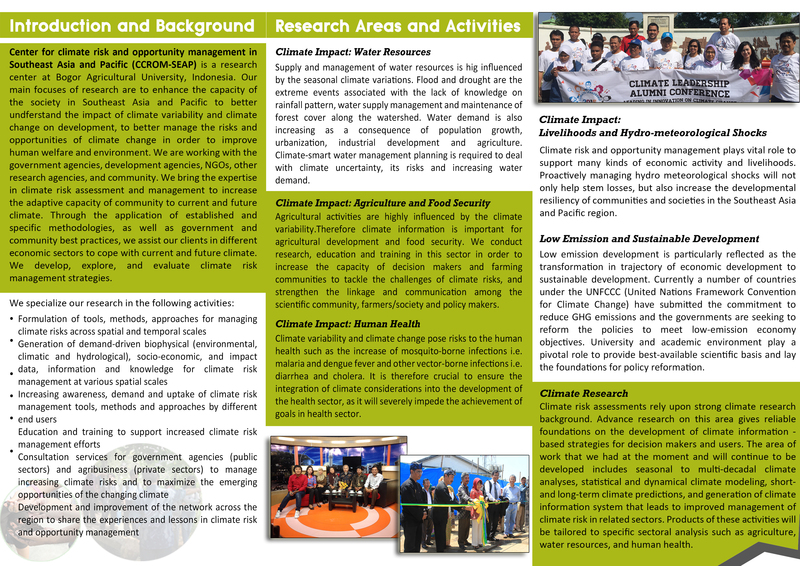 Capacity building in climate modeling and analysis as part of the adaptation measures required for relevant agencies in the area, academics and concerned institutions to increase local resilience to climate variability and change. Around 30 workshop participants including facilitators for two days workshop came as representatives from the Indramayu and Kapuas districts. The first day of the workshop begun with the introduction of the tools for analysis and climate prediction, and the second day filled with brief training tools that have been introduced. The discussion also became a part of the event to increase participants' understanding of the tools. This workshop is hold as one of the measures to improve the capacity of local adaptation. The objective of this workshop is to provide the exposure to the participants of the regional climate predictions and analysis for disaster management, introducing the tool for analysis and prediction of climate and to provide information on local conditions through exposure every area either in the form of disaster conditions, challenges and obstacles in the application of climate prediction models.